The past year has been a busy but great one, especially with being a part of the Keurig crew, aka K-Cup® Ambassador. 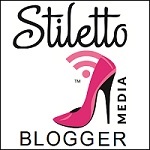 I’m now entering the second year as a K-Cup Ambassador to taste-test new K-Cup® packs, share discount codes and giveaways for my lovely readers and to share my experiences with a variety of K-cup® packs. 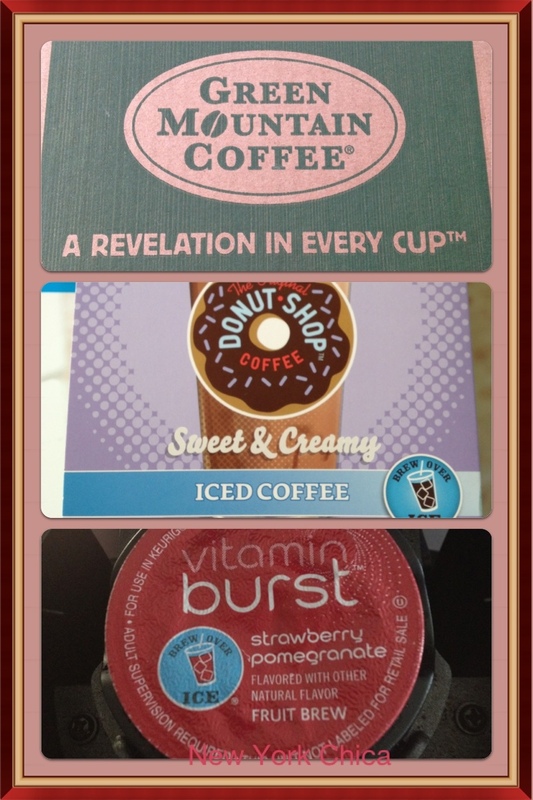 Recently, I was sent a couple of packages with some samples of the new Brew Over Ice K-Cups®. It couldn’t come at a better time since New York has been slammed with 90 degree temperatures practically everyday. I’ve been drinking iced coffee more then ever now. Most days, I need a beverage that will quench my thirst and give me the necessary caffeine to stay up during the day. The new Brew Over Ice K-Cup® packs makes it so easy to get my daily java in 1-2-3. And not only did Green Mountain Coffee Roasters create a brand new line of Brew Over Ice Coffee K-Cup® packs, but they also created something new and exciting called Vitamin Burst™ Iced Fruit Brew. I can now get my daily caffeine fix plus get my daily Vitamin C requirement for the day. The new line of iced coffee is called Sweet and Creamy, by The Original Donut Shop™ coffee brand. These innovative Sweet and Creamy Iced Coffee K-Cup® packs contains just the right amount of coffee and a splash of sweet creamer providing everything you need to create a perfectly brewed cup of iced coffee. There’s no need to add anything else — just pop one in your Keurig brewer, brew over ice and enjoy! In my case, right before leaving for work, I can just pop, brew and go! It’s perfection in a tumbler. The Original Donut Shop™ Sweet and Creamy Iced Coffee K-Cup packs are available in two varieties: Regular and Nutty Hazelnut. I liked them both. I like to drink a variety of coffee during the week so my palette isn’t bored. I also like to add a dash of cinnamon or even a dash of cocoa powder on top. I brew these K-cups with the smallest setting since I enjoy a stronger cup of coffee. The Nutty Hazelnut has a roasted hazelnut flavor that I love. It doesn’t overpower the coffee flavor like some brands do. I like to think I have my very own café in my kitchen. Come to think of it, when you own a Keurig Brewer, you can very well have your private café in the comfort of your own home. 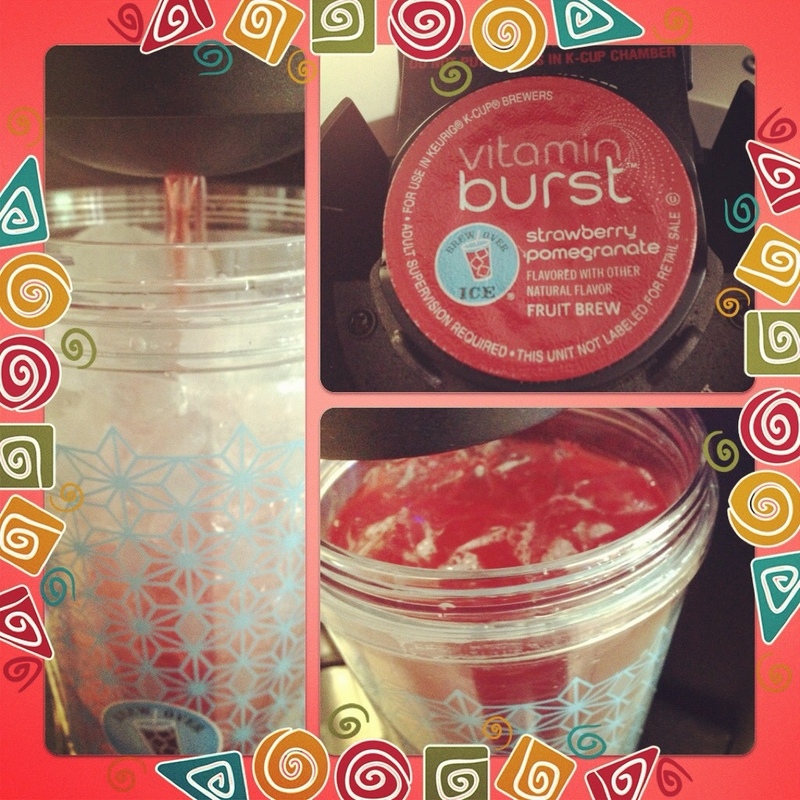 The new Vitamin Burst™ Iced Fruit Brew is amazing. Each k-cup® is packed with gently dried fruit. It’s high in antioxidant vitamin C, it’s naturally sweetened, caffeine-free and it contains no artificial colors or flavors. The Vitamin Burst™ K-Cup packs are available in two fruit flavors: Strawberry Pomegranate and Acai Berry. Both were equally delicious and refreshing but my favorite was the Strawberry Pomegranate. My girls fell in love with it also. The Strawberry Pomegranate has a strong strawberry flavor that I really liked. I wanted to savor the taste but my girls kept asking for more so it didn’t last too long. Too bad I only received two samples — We are craving some more! I’m hoping Green Mountain Coffee comes out with more flavors. *Sweet and Creamy K-Cup packs are available online (www.BrewOverIce.com) at a suggested retail price of $16.49 for a package of 22 K-Cup packs. *Vitamin Burst K-Cup packs are available exclusively online at www.GreenMountainCoffee.com and www.Keurig.com for $17.49 for a package of 24 K-Cup packs. And just for my lovely and loyal readers, I have a special discount: Enter LUCKY1-8141 for 10% off Storewide (excludes eGift Certificates) purchases. The code is valid now through August 8, 2012 at www.GreenMountainCoffee.com. Disclosure: This is not a compensated post. I was sent samples from Green Mountain Coffee to facilitate this review. All opinions are my own. coffees sound delicious! I can’t wait to find these on the shelves. I’m not gonna lie, it’s cool. I’ve loved my Keurig brewer for YEARS! K-Cups are the best invention EVER! i really need to get one of these coffee machines! You really do! You will save money in the long run.